We recently purchased our dream home in April 2017 and not even a month after, we were hit with a totally unexpected hail storm. After $4,500 in vehicle damage, a friend asked if we had our roof checked out. Within days, Will from Homeshield LLC came to the rescue. He had been told by a neighbor that we were in need of a roofing company to survey our situation. He was ABSOLUTELY amazing to work with from the start. We felt comfortable and secure in every step of the way. He walked us through every step of the process and everything was explained clearly. We have a beautiful new roof on our house and shed, and it was done using the best products on the market (Owens Corning). Backed with Homeshield and Owens Corning’s warrantY, we are set for the next 30+ years. We can’t praise Will and Homeshield enough! I just wanted to sincerely say thank you for your help this summer! Couldn't have done it without you!Homeshield was by far way more than we expected it would be. When we first met Jared, we were told by all the neighbors there wasn't enough damage for a claim but let him on our roof anyway. Jared knew the insurance rules and what constituted hail damage. He showed us the damage and assisted us with our claim. He even was able to help us resubmit for more money when the original estimate from the insurance company was way under what the actual cost was going to be. We didn't have a clue what to do and without Jared and his team at Homeshield we would have paid out of pocket the difference. He even assisted us for repairs Homeshield wasn't even completing! Hands down the best experience we have ever had with a contracting company! They even completed the entire roof in one day! If only the mortgage and home owner's insurance companies could work half as fast! Thank you again Jared for everything! Our house looks fantastic! My house was damaged in a hailstorm on May 18, 2017. At first I didn't think the damage was significant but after talking to neighbors who were having their roofs replaced I decided to have my roof inspected by Homeshield. The inspection performed by Jared showed substantial damage to the roof shingles. After I filed a claim with my insurance company, Jared acted as my liaison and was present when the insurance adjuster inspected my roof. As a result, my insurance agreed to pay for a complete roof replacement. The crew that replaced the roof showed up early in the morning and had removed the existing roof and were done installing the new roof by nightfall. They were completely professional and did an excellent job. I would recommend Homeshield to anyone needing a new roof. We were extremely pleased with the work on the Chamber roof by HomeShieldllc. Dave was very courteous and professional with every step. Cleanup was better than expected. It's a beautiful job and we could not be happier with our decision. I contacted HomeShield LLC after I found them through the Owens Corning Preferred Contractor website. A roof on a rental home I own was damaged from wind and hail and needed replacing! The roof expert that came out to inspect the roof made it a straight forward process, and the Owen Corning roof makes the house look very appealing. They did an excellent job cleaning up and the office team were friendly to work with and even followed up to make sure I was satisfied. I cannot fault them on their professionalism! further and exchange contacts. His presentation of Owens Corning product lines and Home Shield company was impressive to say the least. He understood the product and the industry along with what his competitors are doing in the field. I asked him several tough questions about his company and the roofing procedure with him, answering all with professional and with personable explanations and answers that I could understand. A few days later I decided to sign with Home Shield LLC for the insurance related repairs on my property. William streamlined the process for me by working with my insurance company on my behalf, setting meetings up with the insurance adjuster and communicating with me by text, phone, and email with updates to keep me informed all the way. The installment of the roof was incredible. The workers covered everything and were clean and professional. William made it clear to me that he was going to be on site every step of the way and that he did. 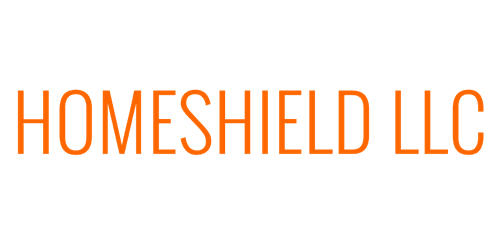 I would highly recommend HomeShield LLC.